It seems to many that the Environmental Protection Agency (EPA) is putting off a final decision on whether or not it will slash the 2014 biofuels mandate in order to calm markets, but the rumor mill has the market more anxious than ever. According to some media reports, the agency would reduce ethanol targets for 2014 under the Renewable Fuel Standard by 16%, mandating only 15.21 billion gallons of fuel coming from renewable sources, rather than the planned 18.15 billion, established by a 2007 law. The agency would call for the use of 13 billion gallons of conventional corn-based ethanol and 2.21 billion gallons of advanced biofuels such as biodiesel, down from 13.8 billion gallons and 2.75 billion gallons, respectively, this year. The agency's 2014 proposal is currently at the White House Office of Management and Budget and is further delayed by the government shutdown. The 2007 law mandates the use of 14.4 billion gallons of corn-derived ethanol in 2014 and 15 billion in 2015. Lobbyists for refiners say that requirement is too high, and have pressed both Congress to scrap the entire program and EPA to lower the requirements. The agencies proposal, if approved as circulated, would mark a significant victory for oil companies, who have been lobbying regulators and Congress to cut biofuel blending mandates that had been eating into their market share. Earlier this month, Big Oil’s American Petroleum Institute (API) is taking on the ethanol mandate with a lawsuit challenging quota’s that the group says is not only bad policy but unrealistic. On other side of the divide, the move would be bad news for local corn growers, who provide the raw materials for the fuel. This would reduce the volume of corn-based ethanol to about 800 million gallons less than this year's 13.8 billion gallons, even though the law had required 14.4 billion gallons in 2014. Stephen Brown, vice president and counsel at Tesoro Corp said that if these numbers are valid and if EPA's goal was to put out a proposal that makes everyone less than happy, then their mission has accomplished. "Directionally, though, Big Corn should view the upcoming pincer move -- from the agency and from the Energy and Commerce Committee -- as a pretty strong signal that the train is leaving the station and they might want to buy a ticket, " Brown said. However, the major loser in the circulating equation could be Brazil because the EPA considers its ethanol "advanced", as it is made of sugarcane and offers much more carbon savings that corn ethanol. US imports of Brazilian sugar cane ethanol could be cut by more than half if the speculating numbers are adopted. Its about time they toned down the filler known as ethanol and sold some pure gasoline to keep our engines efficient and clean! Corn-derived ethanol is a bad idea and should be phased out rather than expanded by mandate. It's bad for America's image to use food crops for motor fuel when a billion people go to bed hungry. The real winners are the people of thenworld who need corn for food not gasoline. there is no economic or environmental need for corn based ethanol. This article fails to mention the "blend wall." The mandate is based on 2007 government estimates of future demand for gasoline that never materialized. 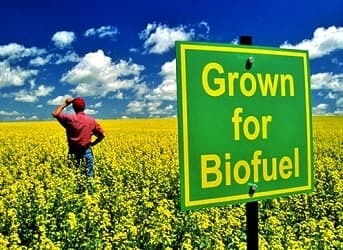 The same government makes it illegal to blend more than 15% biofuel into gasoline. Meeting the blend mandate would force refiners on one hand to break the law and on the other pay fines if they don't. Instead of absolute number of gallons it needs to be percent based. That is evidently to difficult. I agree with no food for fuel comments. Let's not forget the very low EROI for corn based fuel. Ethanol Has caused so much damage and gets less MPH. my tractor when I was going up a hill. It is bad stuff and even causes gas tanks to rust. It cannot go in pipelines because of damage to them. It needs to be trucked in to special tanks that is how bad it is. Ethanol mandate is a bad policy because it is mandated by the federal government for all states. Ethanol should be used where the market says it makes economic sense. The product has been mislabeled as an enviormental win. Know that due to the carbon needed to both manufacture and deliver ethanol to refineries, it has a negative effect to "clean air". Not to mention the damage it causes to small engines plus it's inefficent output as a fuel. It may make sense in the corn belt if they are willing to build a couple of refineries completing the process. You can send oil through the pipelines to the midwest where it could be made into gas and blended (with ethanol) for fuel. One last comment concerning the mandated fuel....it uses up 37% of our corn, which historically has fed the world!